My kiln's original model is the one which was used for making Sueki ware (5th-10th centuries). The details are on the process pages. This kiln was built in 1992. Before then I used a "noborigama" (multi-chamber climbing kiln) which was built in 1974. It took 48 hours to finish firing with this noborigama. From 1992 to 1995, I thought the way to fire an "anagama" was the same as a "noborigama," so for no other reason, I decided to fire it for 7 days. However, it resulted in only the front rows of the 3 shelves being fired and the back rows being half-baked. As a result, the anagama ware did not turn a scarlet color. From 1996, I decided to do away with the previous firing process and try to reconsider a new firing method from a different perspective. Then, I thought about how I had tried to fire the pieces I loaded in an anagama, and I realized that I could not fire anagama itself this way. Therefore, I decided to put the fire on the floor (at the base) of the anagama. 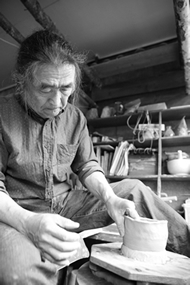 At the same time, I had heard there was a ceramist who stopped firing during the night in Bizen. I had known his work from before, so I decided to try "tomedaki" which means to stop the firing process during night. The reason is that when stopping the firing process like this, the inside temperature of kiln gets evenly distributed, and the whole kiln becomes stable at that temperature. I used this technique throughout the process, and I raised the temperature of the kiln at the end of each firing. Despite these efforts, stopping the firing itself, couldn't produce the scarlet color on the surface of the pieces. Thus, I decided to saturate the whole kiln with water because in the past, I happened to fire my kiln in the spring when it was still soaking wet from melted snow and partially got good scarlet color results. Moreover, I remember from when I went on a study trip to China in 1987 that at the Chizou Kiln (Mantougama uses coal), they wet coals with water before they use them. Basically, no firing technique instructions about original Anagama existed. Nowadays in Japan, there are many people using Anagama, and almost everyone tries to fire their pieces themselves in kilns. However, I think this way of thinking is a mistake. For the reason that loading pieces in a kiln is the most difficult process in the whole firing operation. More than anything, it can make firing succeed or fail. It is best for one to concentrate on the process of firing a kiln instead of firing pieces because a properly fired kiln will spontaneously pull the character of the clay out to its maximum. In this way of thinking, firing a kiln instead of firing pieces will spontaneously pull the character of the clay out to its maximum. You can say the same for glazing. 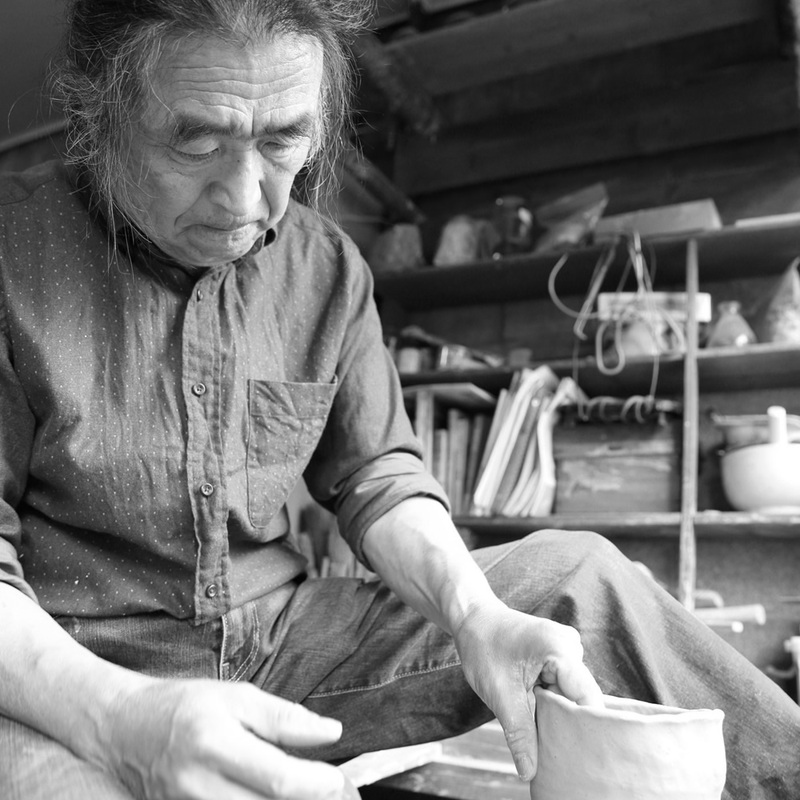 Over the past few years, I have met many foreign ceramists in Korea who have told me that there are many ceramists who are interested in Japanese pottery and especially would like to study Anagama. There are many different ways of firing all depending on the structure, shape, and size of the ware, and the methods of storing heat and releasing heat can be used with any kiln by anyone. From my past 20 years working in pottery, I have come to the conclusion that this method works well. Please use my method as a reference, and with your own clay and own kiln tweak your process accordingly, if necessary, when creating your own art pieces. Copyright© Katsutarou Kikuchi 2016. Allrights Reserved.